Page of "Looking in to your Kata". An area of Karate that has always raised debate is the effectiveness of Kata through studying possible applications, the naming is irrelevant regardless of if people call things Imi, Oyo or Bunkai. For most Karate Ka there are two schools of thought, whereby some Karate Ka will do their applications whilst firmly keeping the form that the kata dictates, others will totally deviate from the form or techniques of the Kata to make things work, sometimes to the point that the Kata teachings or moves are totally unrecognisable, at times resembling a scrappy mess. Generally speaking I don’t fully agree with or use either of these approaches when it comes to Kata effectiveness. In the work Budo Masters “Paths to a Far Mountain” by Michael Clarke. 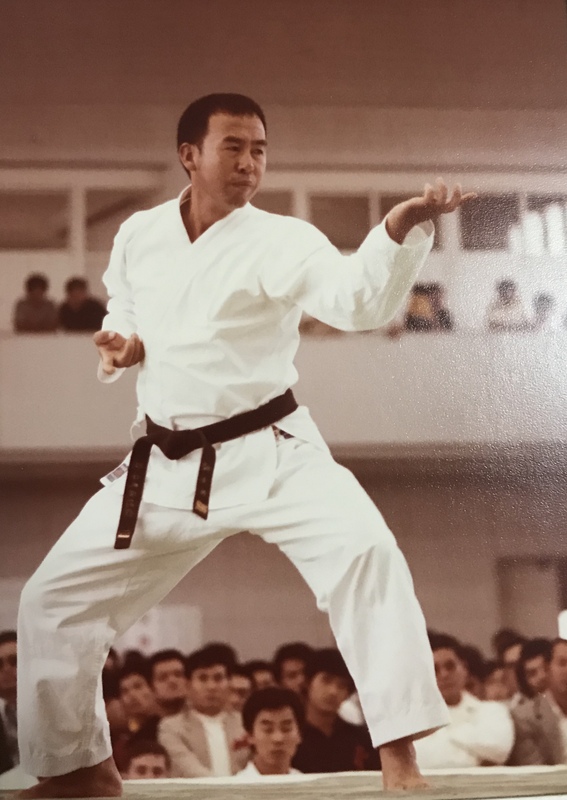 Eichi Miyazato Sensei a direct student of Chojun Miyagi raises a few points that many Karate Ka seem to be unaware of or if they are aware then they certainly seem to disregard something of major importance to their study. What I would like to add to this is that the words of Miyazato Sensei mirror the words spoken often to me by my own teacher, as in Shigetoshi Senaha Sensei. During close personal lessons on Kata he has said often that “We do this way in Kata, but the real meaning is hidden and made safe, this is what you should really be thinking or doing”. In reality, understanding your Karate and how you should be thinking and training is the road to Kata effectiveness. Hopefully I’ve given you something to ponder over at least. Anyway, I am setting off to Okinawa later to see my Sensei so I will be posting again soon and upon my return.